The Society held its annual dinner on Saturday 17 November. The evening is an annual tradition which recognizes and awards long serving staff and volunteers as well as recognising the years outstanding contributions. The event was very well attended by nearly 300 current and past staff, volunteers and members, coming along to help us celebrate. Membership Pins were awarded to all new members who completed one full year and volunteered at two Society events. Pins were awarded to David Anderson, Jim Huffstutler, Robyn Carr, Diana Grantham, Colin Nixon, Lesley Christianson and Shona Tapp. 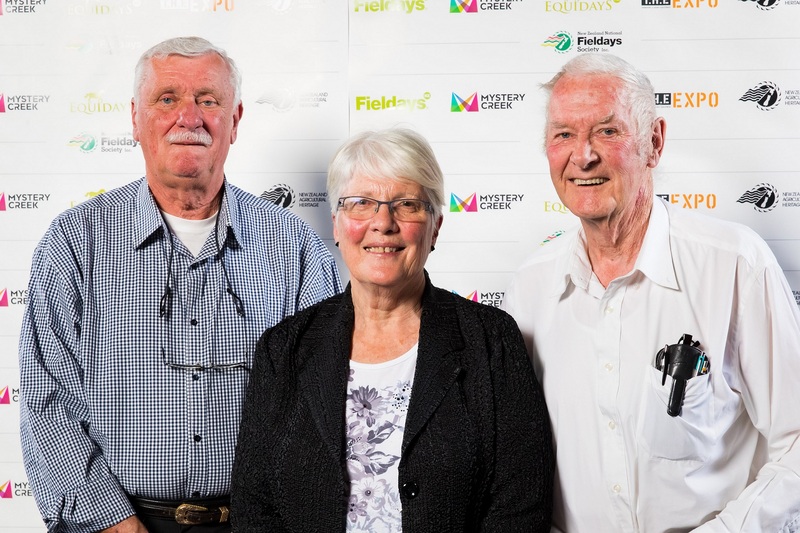 Pictured L-R Jim Huffstutler, Robyn Carr and Colin Nixon. 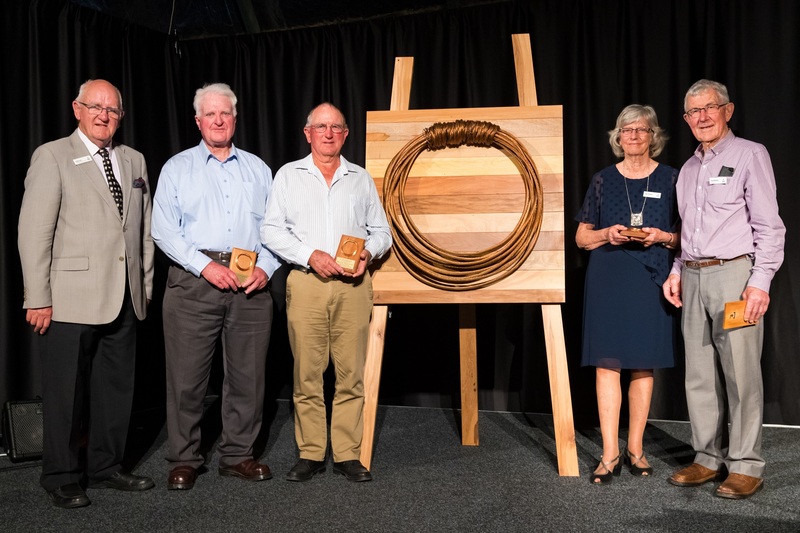 The volunteer recognition awards introduced in 2010, reward outstanding services to the Society outside of Fieldays and Equidays. 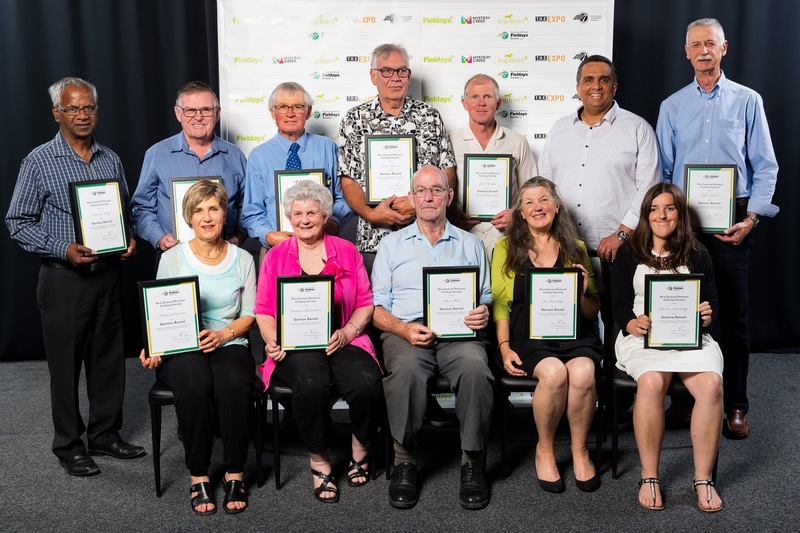 Volunteer Recognition awards were given to Dawood Latiff, Gordon Vernon, Andrew Taylor, Kerry Clarkin, Chris Kay, Alan Sharp, Mike Andreoli, Sandra Wrigley, Doug Baldwin, Helen Lacey and Frank Sargent. 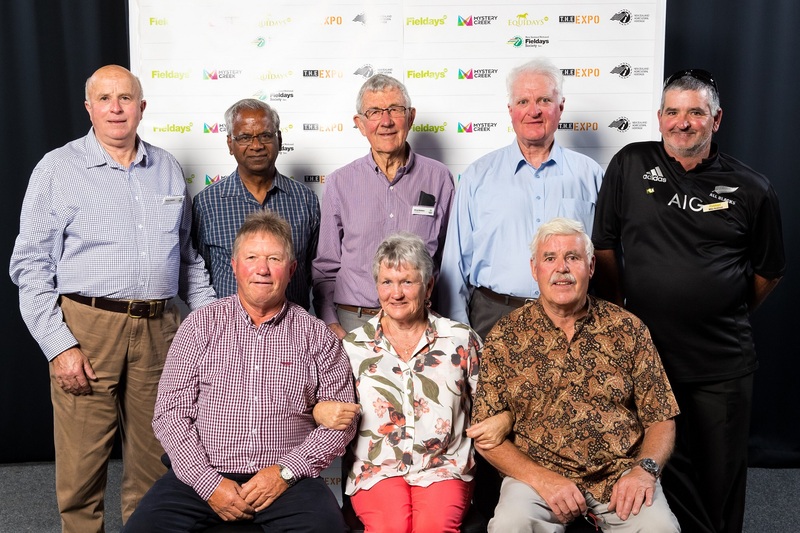 Pictured L-R Kerry Clarkin, Dawood Latiff, Doug Baldwin, Alan Sharp, Mike Andreoli, Gordon Vernon, Helen Lacey and Frank Sargent. Service Awards were given to individuals in recognition and appreciation of their ongoing service and contribution to the Society. Recipients included Lynley Schollum, Richard Ferdinands, Owen Turner, Pauline Chamberlain, Campbell Clarke, Bruce Cryer, John McFall, Carl Melville, John Storck, Pauline Bates, Graeme Bates, Margaret Cameron, Terry Semmens, Ken Shearer, Ray Shearer, John Sheridan, Steve Slade, Tony Smith, Colin Dixon, Bianca Bainbridge, Iris Bainbridge and Dawood Latif. Dawood Latif, Bruce Cryer, Ray Shearer, Owen Turner, Carl Melville, Richard Ferdinands, John Storck, Margaret Cameron, Pauline Chamberlain, Steve Slade, Iris Bainbridge and Bianca Bainbridge. 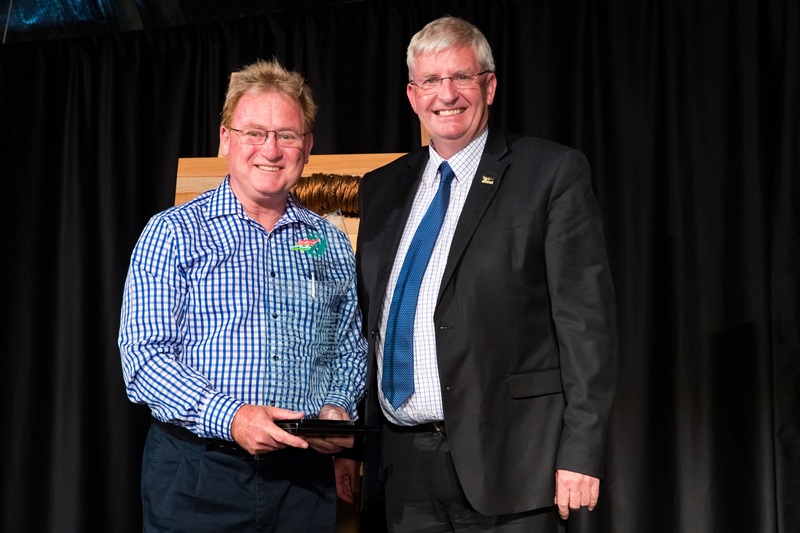 Introduced in 2014 the award recognizes performance and professionalism among our communities, up to and during the Fieldays event. 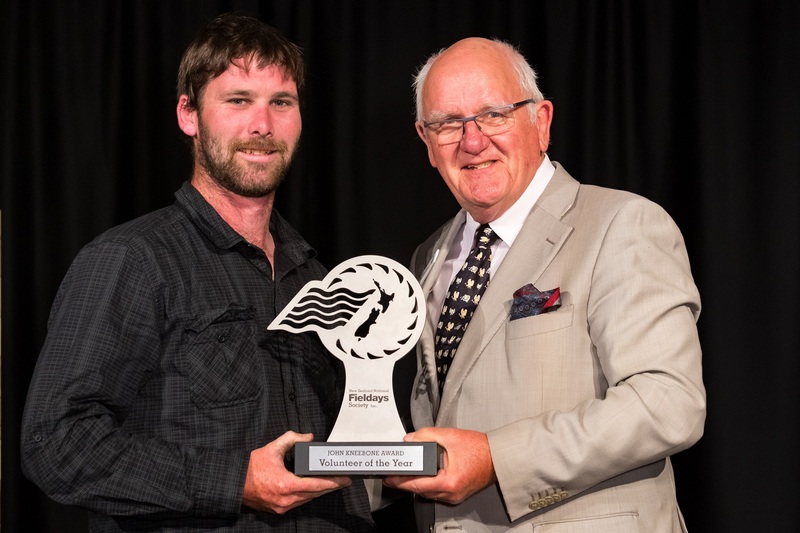 The award was awarded Fieldays Tractor Pull for 2018. Pictured L-R Clint Gulliver, Casey Huffstutler and Peter Nation. 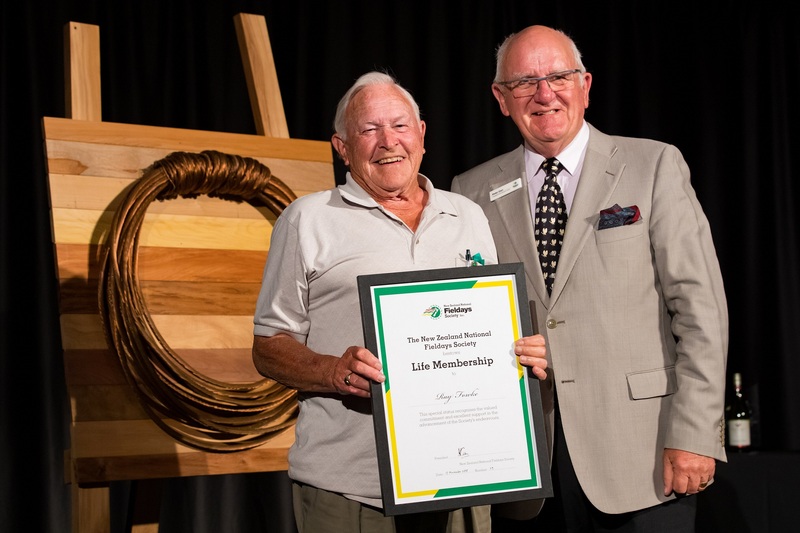 The Rimmington Award is named after founding member and past president of Fieldays, Russ Rimmington, who was also a former Hamilton mayor. 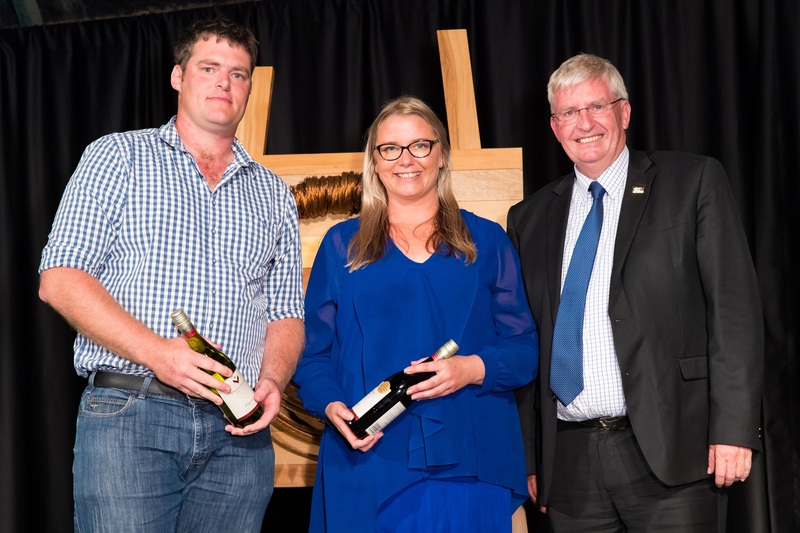 This year the award was given to St Johns. St John’s representative Brent Nielsen and Society CEO Peter Nation. The John Kneebone Volunteer of the Year was awarded to Ethan McKee, who was nominated by multiple members of the Society for his outstanding contribution across all Society events. Ethan McKee and Society President Peter Carr. Arguably the most impactful award of the night, President Peter Carr awarded 50 years of dedicated volunteer service to Doug Baldwin, Kaye Baldwin, John Davison and Alan Sharp. Pictured L-R Society president Peter Carr, John Davison, Alan Sharp, Doug Baldwin and Kaye Baldwin. Ray Fowke and Val Millington were both awarded life memberships to the Society. Pictured L – R Ray Fowke and Society President Peter Carr.